Free book give away inside. Reasonably healthy but suspicious that something’s not quite right? Could be inflammation. Inflammation leads to chronic disease. Inflammation is a complex problem that affects a large percentage of the population. Sadly, our medical system tends to focus on overt symptoms and often overlooks what isn’t so obvious. 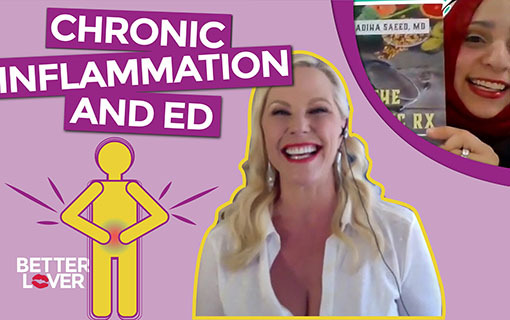 This video will give you a framework to understanding if chronic inflammation might be at the root of your suffering. 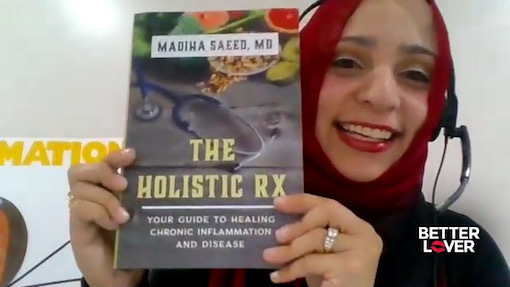 Dr. Madiha Saeed titled her book The Holistic RX because it’s exactly that… a holistic prescription for health and well being. I’m giving away one copy of Dr. Saeed’s book to someone who posts a question about chronic inflammation under this video on my YouTube channel. Just click the link, watch the video and post your question. I’ll pick one winner. Listen in on this conversation I had with her and you’ll have a solid action plan on how to get really good baseline to build on to improve your health… both sexual and overall. Pay it forward with a little love? Subscribing to my YouTube channel is free and helps me reach more sexual seekers like you. Where do you get the transcript? 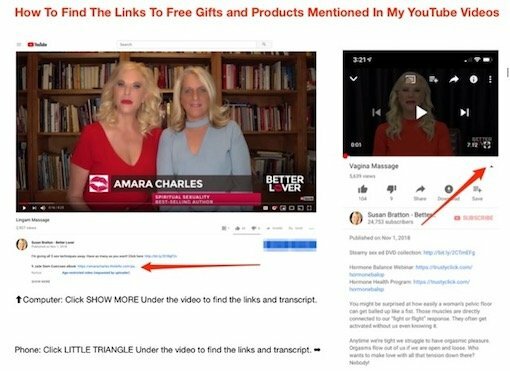 Any links I mention in the video can be found under the video. Click “SHOW MORE” on the left on your computer. Or click the little TRIANGLE on the right on your phone and it will expand to show the links and transcript.